In general, cookies are used to retain user preferences, store information so you can use things like forums, and provide anonymised tracking data to third party applications like Google Analytics. As a rule, cookies will make your browsing experience better. 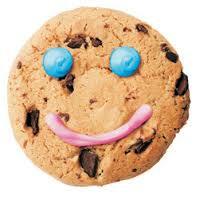 However, if you don’t want to use the forum, you can disable cookies on this site and on others. The most effective way to do this is to disable cookies in your browser. We suggest consulting the Help section of your browser or taking a look at the About Cookies website which offers guidance for all modern browsers.